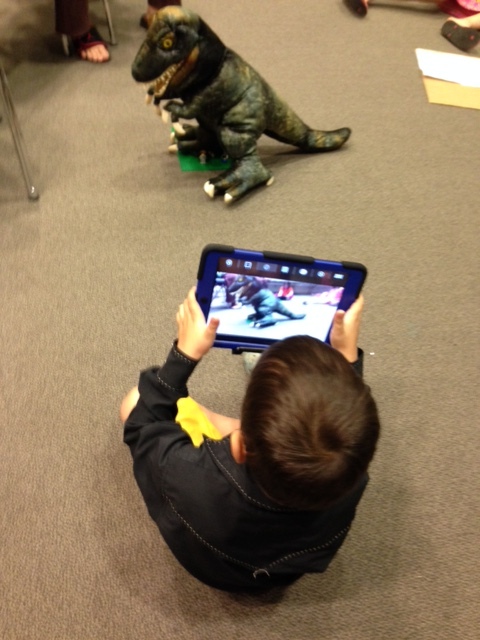 The other day, I did a really awesome program with school-agers: We used LEGOs, puppets, art supplies, and the LEGO Movie Maker app to create some fun movies. What I loved most about this program (other than how much fun everyone had) was that it incorporated so many educational aspects: storytelling, crafting/making, teamwork, and technology! Prep time was also next to nothing for this program, which was an added bonus. As a matter of fact, I kind of inherited this program at the last minute. An awesome coworker of mine is the original mastermind behind this, but she was unavailable the day of the program, so I took over. Welcome participants, go over the program guidelines, and do a brief demonstration of the app. Have participants break off into groups. They should spend a few minutes coming up with a team name and brainstorming a few ideas for their movie. Once they have a few ideas, they can come up and start to get LEGOs/puppets/art supplies and start setting up for the movie. When they’re ready to start filming, they can come up and get an iPad. The LEGO Movie Maker app is very simple to use; most of the kids who were participating were able to film awesome movies with very little instruction from me. If you have the technology, you may want to project videos onto a screen when you’re finished. Handle iPads gently and carefully. Ask questions. We’re here to help! Work together with others in your team. You may need to compromise or share. The program ends at ________. Please return your team’s iPad and all supplies when you are finished. Mid-to-late May is always such a weird time of year for me. Mostly because it’s the calm before the storm. Many of the big projects that I worked on during the fall and winter are either finished or about to take a back seat, but the Summer Reading mayhem has yet to officially start. Yes there are school visits and library tours going on to get kids excited about Summer Reading, but even those don’t take up all of my time. Therefore, for the past couple of days, I’ve been able to sit down and bring myself up-to-date on a few work-related things. One of those things that I’ve been researching is apps! 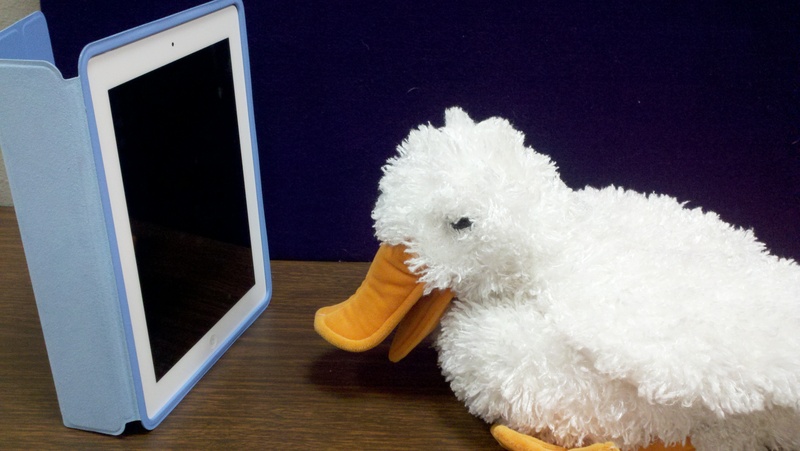 I am one of the people in charge of keeping up with the newest and best children’s apps for the library, and I am sad to say that after my work with the Cybils finished earlier this year, apps took a backseat to things like the puppet show. David Wiesner has won the Caldecott Medal three times now, so it’s really not a big surprise that this app is amazing. In this app, children can explore various imaginative worlds by pinching and zooming into different scenes. Children can also tap to reveal hidden animations! And, as an extra bonus, you can also download a (FREE!) ebook: David Wiesner’s Spot: A Parent and Educator Guide! This e-book takes you behind the scenes of the app (Exclusive sketches! Learn about the origin and creative process! ), and it also provides questions, activities, and story prompts! How fun! Library Usage: I would most likely use this app with 3rd through 5th graders. It could be a great activity for a visiting class to do, and it could also work in a creative writing program! Steam Train, Dream Train AND Goodnight, Goodnight Construction Site are two of my favorite picture books to share in storytime, so of course I’m happy to see that they’ve both been turned into storybook apps! Like many of the best picture book apps, you can choose to have the narration on or off, it highlights words as you read along, and you can tap objects in the pictures to see the corresponding word. You also have the option of recording your voice while you read! Library usage: I think the most obvious choice would be to use these apps in a storytime, either a traditional one or one that is solely focused on apps. I also like the idea of sharing both of these titles in an apps booklist. Any app reviewer will tell you that Toca Boca is one of the big names in the app development field. I admittedly have a love/hate relationship with the big name developers because, on the one hand they create so many wonderful apps! But on the other hand, I like to highlight well-done apps that aren’t necessarily from the big name developers. In the app world especially, it can sometimes seem like the big names get all the publicity, while the little guys fade into obscurity. With that said, Toca Boca, which is a big name, releases some amazing apps! Three recent-ish apps that I think will be a big hit with kids in a library setting include: Toca Nature, Toca Robot Lab, and Toca Hair Salon. Library usage: I think all three of these apps will work well in a relaxed iPad free-play program. 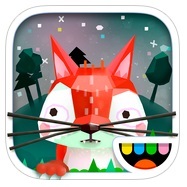 I would recommend Toca Nature to the pet enthusiasts, and maybe even some Minecraft fans. I’d point future engineers and robot fanatics towards Toca Robot Lab. And Toca Hair Salon is for anyone who wants to have some silly fun. 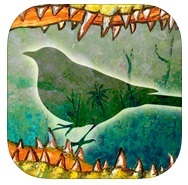 Dentist Bird by Literary Safari Inc. Literary Safari contacted me months ago about this app, and I’ve been meaning to write about it, but obviously haven’t gotten around to it until now. (Which is a fail on my part.) (I should probably also mention that they are not paying me to review this app; they just asked me to take a look at it.) This app has received many accolades from sources such as School Library Journal, Children’s Technology Review, and Digital Storytime. Dentist Bird is based off of a West African folktale in which a bird helps heal a crocodile’s toothache. Not only do children get to hear the story of Dentist Bird, but they also get to help cure crocodile’s tooth ache by playing in-story games! A teacher’s guide and parent guide are also available along with this app for educational connections! 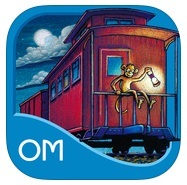 Library usage: This is another app that I would include on an apps booklist. It could also be great to include in a Día program that focuses on West Africa OR a folktale program that shares folktales from around the world. Alphabet apps are pretty much a dime a dozen these days. And, honestly, most alphabet apps are only so-so as far as quality is concerned. Metamorphabet, however, wins bonus points for: ease of use, creativity, and vocabulary. 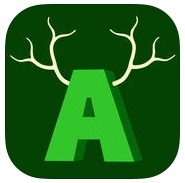 What other alphabet app would include the word, “amble,” as an example of the letter A? The best way to get a feel for this app would be to watch it in action, so here’s a video review by Shannon Briggs. Library usage: Great for free-play programs, storytimes that are focusing on a particular letter, or wall-mounted iPads in the children’s department. Today I offered an iPad program in which parents and children of all ages were invited to come in and test out some of the apps that we have on our iPads. There was no format, no goal, and no structure. I simply stood outside of the program room and basically said, “Good morning, would you like to play with some iPads?” to families as they walked into the department. Many of them said yes, grabbed an iPad or two, and started to explore. I have always been a firm believer that — yes, too much screen time is bad — BUT interactive and educational screen time can be very, very good! And this program justified my belief because during the entire hour, I heard fantastic conversations between parents and their kids as they all played and explored and learned together. Me: This app has a lot of cool optical illusions! Girl’s Mother: Just like that dress on the Internet! Weird Internet memes aside (IT’S GOLD AND WHITE! ), this program was a lot of fun for everyone, and the best part is the fact that I did little to no prep work. All I had to do was familiarize myself with the apps, which took about 10 minutes because I was already familiar with most of them. My preschool storytime is on Tuesday mornings, and we had a two week break from these storytimes due to both Christmas and New Years falling on Tuesdays this year (we were closed both days). 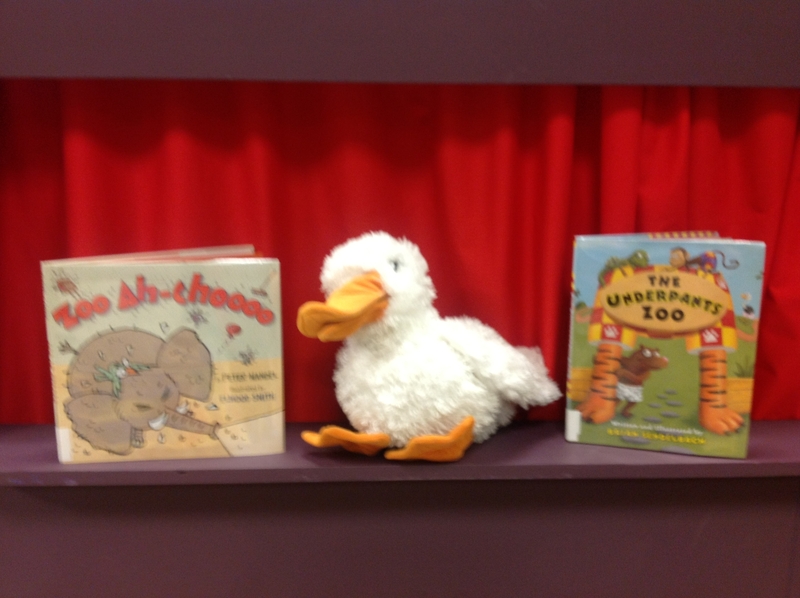 So last week was the triumphant return of preschool storytime, and I thought a polar animal theme would be a great way to kick off January! 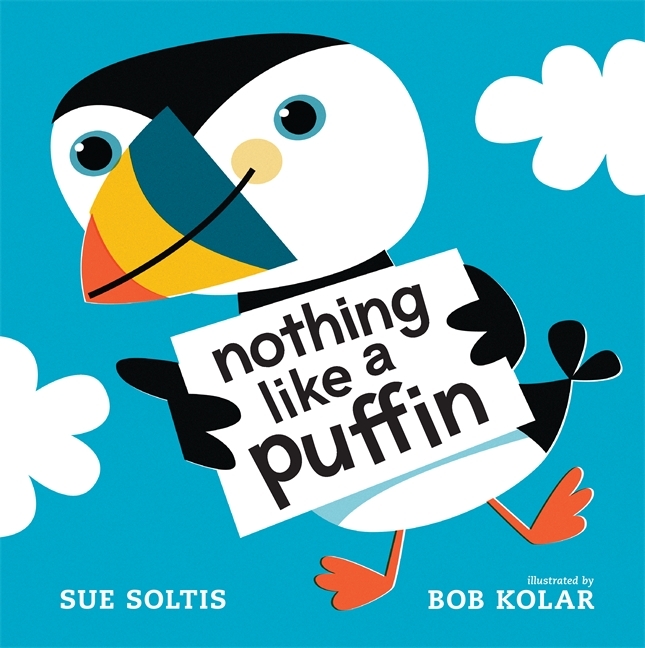 This is a wonderfully illustrated picture book that details ways that things are similar to or different from puffins. What I like most about this book, aside from the bright illustrations, is the fact that it really makes children (and adults!) think. You wouldn’t think that a newspaper has anything in common with a puffin…but wait…they’re both black and white! And surely a goldfish isn’t anything like a puffin…but wait…goldfish and puffins both like to swim! Another plus for this book is the fact that it focuses on puffins instead of the more popular penguins. 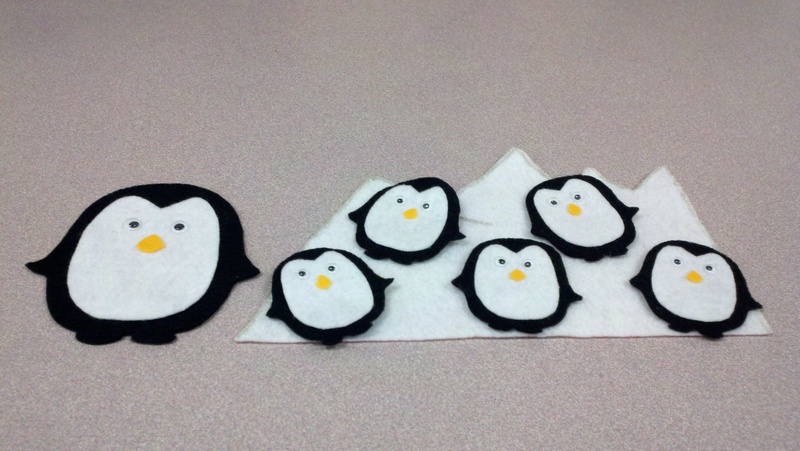 There is a penguin in this book, but it’s the puffin who takes center stage. One baby penguin makes a wish. Two baby penguins catch a fish. Three baby penguins slip and slide. Four baby penguins run and hide. 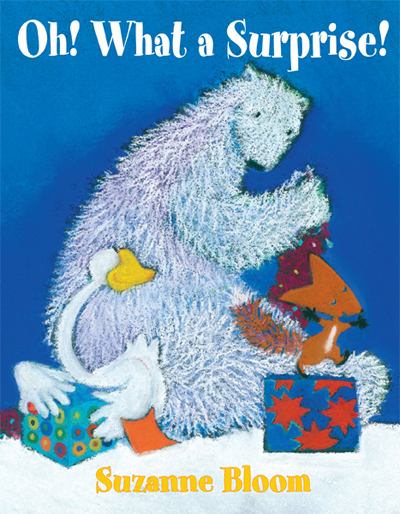 This book has not just one, but three arctic animals: a polar bear, a goose and a fox (although the fox is not wearing its winter coat). I love this series for its simplicity, and the stories usually have a good moral about friendship that I can discuss with the kids after reading. In this one, the moral involves how wonderful it is to surprise your friends with gifts. I’ve been introducing simple nonfiction books into my storytimes this year. 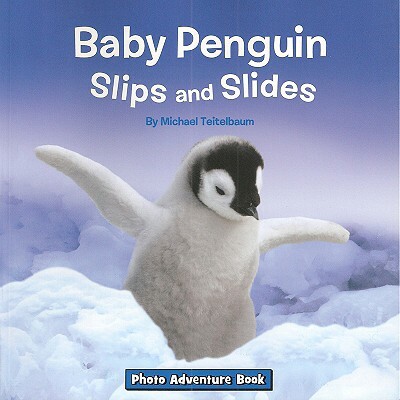 This particular nonfiction book focuses on baby penguins. The bulk of the book chronicles a day in the life of a baby penguin, who slips and slides and plays hide and seek with its friends. The book is interspersed with Fact Stop bubbles that provide information about penguins. There’s a spread in the middle of the book that has baby penguin hiding under the snow, and the kids loved coming up to the book and finding baby penguin! This is a great e-book for Stan and Jan Berenstain’s story. It flows really well, rhymes, highlights words as they’re read, and states what a picture is when tapped. It does run a tad on the long side (not too long, but I wouldn’t recommend it for very young children or children who are overly wiggly). The best thing about this e-book is how smoothly it transitions between pages. It doesn’t have razzle dazzle animations; instead, it has gently falling snow and floating air bubbles under the water. These animations are subtle and beautiful and create a relaxing atmosphere without causing much distraction. The kids really enjoyed this app as well. They sat quietly, pointed out the different animals to me, and one little girl got really into it (she gasped and covered her mouth when she saw the polar bears, then she smiled when the penguin walked away oblivious and unscathed). This was a great storytime! My regulars were so excited to be back at storytime, and they seemed to really enjoy the books and activities. 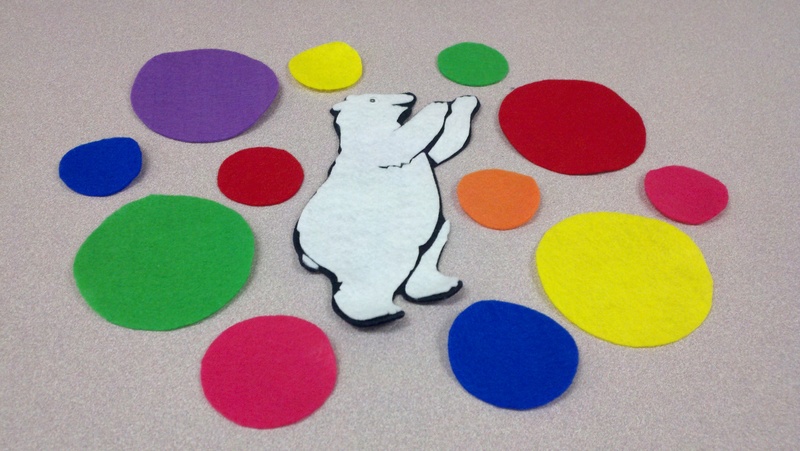 The Polar Bear Play flannelboard was definitely a big hit. I’m also pleased with how well the nonfiction book was received by the children. I’m trying to insert more STEAM aspects into my existing programs, taking baby steps to one day hosting full STEAM program. Wow, it has been over a month since my last post here on Falling Flannelboards! Believe me, the hiatus was unintentional. I’ve been very busy in both my professional and personal lives, and I really haven’t had time to sit down and write coherent blog posts. Things seem to be winding down at the moment though, so I thought I’d pop in to tell you about how things have been going with my iPads in storytime experiment. 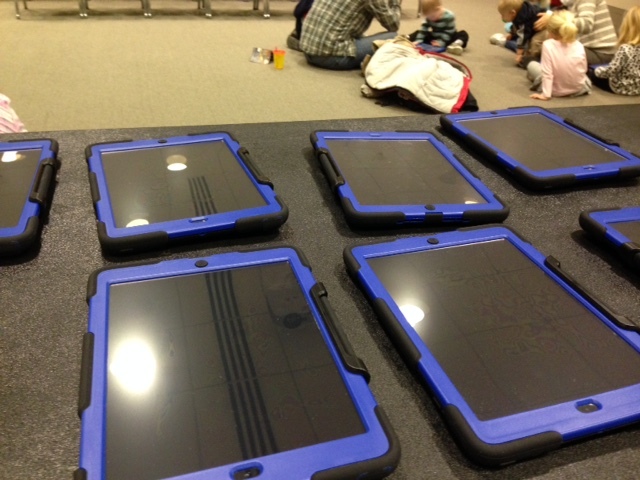 Sadly, I’ve been having a problem with this whole using iPads in storytime experience. Mainly, I’ve been forgetting to bring my iPad to work on days that I had planned to use it in storytime! I don’t bring my iPad to work everyday because I don’t really use it outside of storytime, and I don’t want it to get stolen or broken or lost or what-have-you. I’m normally a very organized individual, and I don’t forget things all that often, but every time that I wanted to bring my iPad for storytime, I ended up leaving it at home (even when I set reminders for myself, and even had it out on my kitchen table, ready to go!). 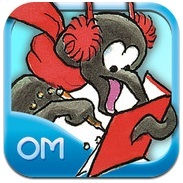 Doodlecast for Kids by Tickle Tap Apps. This is a drawing app that records not only your drawing process, but your voice as well! I thought this would be perfect for a drawing story. My plan was to use it for a Things That Go theme and have the children sing “Wheels on the Bus” while I drew a bus. Luck would have it that I left my iPad at home and wasn’t able to try it out, but I think it would have worked really well. And did I mention that this app allows you to upload the video of your drawing/story to youtube? This could be a great way to promote storytime in your community. Just use it for a drawing story in storytime, then post the video to youtube and then post it to your library’s Facebook/Twitter pages so that everyone can share it with their little ones, even if they can’t make it to the library for storytime. 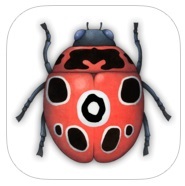 Bug Builder by Tickle Tap Apps. Okay, I’m just going to come out and say it…I love the Tickle Tap Apps. I only have three downloaded so far, but I will probably download more in the future (once I start learning to bring my iPad to work on days that I need it!). This app in particular amuses me so much that I sometimes start it up when I’m bored at home. In this app, you get to build a bug. First you pick a shape. Then you color it in. And then you tap, tap, tap until a bug “hatches”. My plan was to have the children call out which shape they wanted me to use, and which colors. Then I was going to ask them if they wanted the bug to have spots or stripes or some other design as I colored it in. And then I was going to let the children take turns tap, tap, tapping until the bug hatched. I highly recommend this app, and I might have to find a way to sneak it into a future storytime since I didn’t get to use it for my bugs storytime like I planned. And that is it! I’m planning to use an app for a friendly monters themed storytime in a few weeks. Let’s hope I don’t leave it at home! Opening Song: Open, Shut Them. 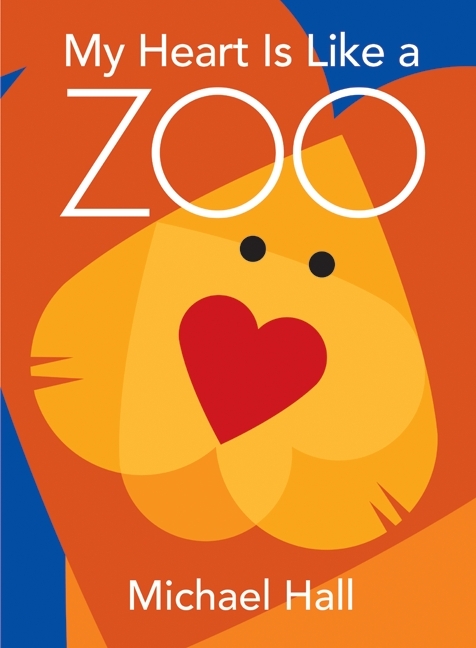 Writing Activity: What kind of animals do you see at the zoo? It’s a quiet day at the zoo until the snow leopard sneezes. The elephant hears the sneeze and promptly sneezes as well. Thus starts a chain reaction throughout the zoo that leaves everything in disarray. The children giggled throughout the book, and I love the adorable illustrations. 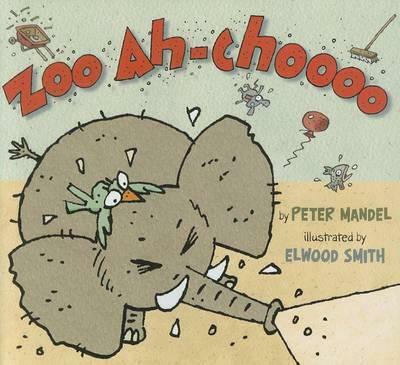 When I did my first ‘AH-CHOOOO,’ a mother said, “Bless you.” I would definitely read this one again in the future! Activity #1: The Lions at the Zoo Go Roar, Roar, Roar! The lions at the zoo go roar, roar, roar. The snakes…go hiss, hiss, hiss. The hyenas…go ha, ha, ha. The monkeys…go eee, eee, eee. The birds…go tweet, tweet, tweet. The title alone caused children and adults alike to break out into giggles! I have to say that this one seemed to be the favorite book. 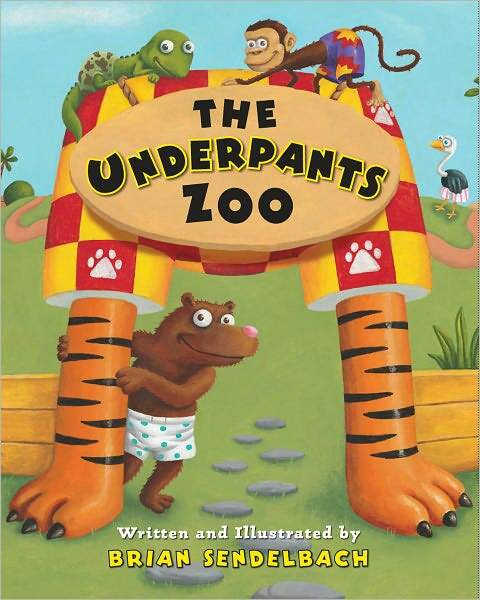 The children loved the sheer silliness of it and seeing what kind of underwear the different animals were wearing. And I loved it for its big, bright illustrations and rhyme that flows well. You put your elephant ears in. You put your elephant ears out. and you stomp yourself around. Batty is a lonely bat at the city zoo. No one seems impressed with his ability to hang upside down, so he decides to visit the other zoo animals and learn what they do. The penguin pool is too cold. The lion’s den is too hot. And the tropical aviary is too noisy. 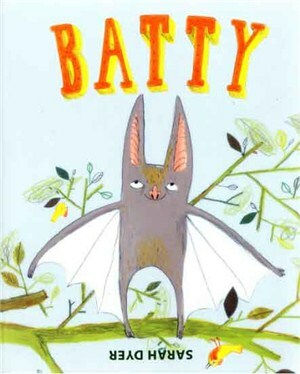 Batty returns to his home feeling very sad that he didn’t fit in anywhere. However, when he arrives at his tree, he finds that the animal friends that he made throughout the day have come to visit and hang upside down with him. This book was great for asking questions (What are the penguins doing? What do lions like to do?). I had to include this one! Not only is it imaginative and colorful and great for discussions…but it’s also short, so it works well as a last story for storytime. Now I just have to wait until Valentines Day to break it out again. Following in Storytiming’s footsteps, I decided to use an animal sounds app for my first iPad app in storytime. She had already had success with it, and it didn’t seem too complicated. I ended up getting a different app than what she used, but it still worked out really well. I asked the children if they wanted to play a guessing game, and I told them that I’d give them some clues about an animal and they had to guess the animal. The last clue I gave them was the animal sound from the iPad. For example: “This animal has a long nose, big tusks and sounds like this…” The kids loved it! This particular app shows two animals on the screen at a time, so what I did was give clues about one, then turned the iPad around after the kids guessed and asked them to name the other animal. Then we listened to the sound that that animal makes. 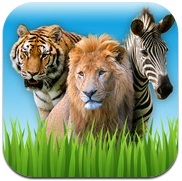 This app has beautiful pictures, realistic animals sounds and, best of all, it’s free! How it Went: This storytime was a huge success! One little boy walked out of storytime on Tuesday and told his mom that he wanted to do it again. And, sure enough, they showed up today for round two!